Liturgical poet; lived at Marseilles about 1285. Cayl is a family name, derived from Caylus, a town in the department of Tarn-et-Garonne. 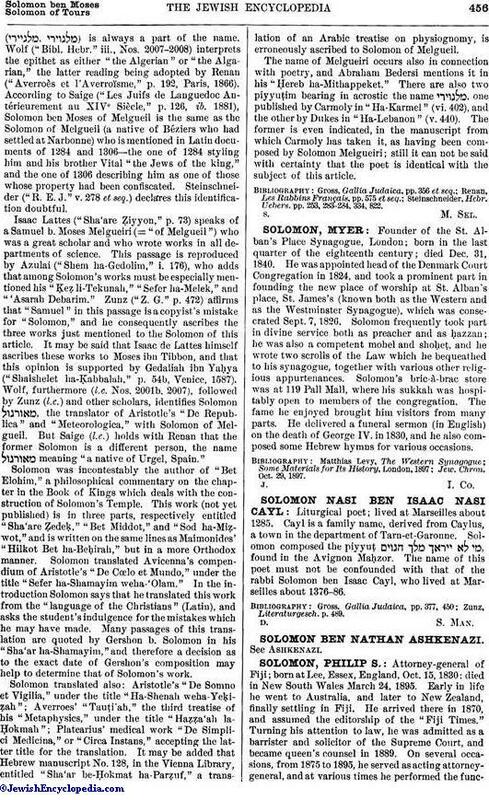 Solomon composed the piyyuḥ , found in the Avignon Maḥzor. The name of this poet must not be confounded with that of the rabbi Solomon ben Isaac Cayl, who lived at Marseilles about 1376-86.